Legislation to allow for ongoing cross-Border healthcare, electricity, transport, student grants and pension payments will be approved by Cabinet today. Nine government departments have almost completed work on legal changes which seek to mitigate against the worst effects of Brexit. Among the concerns to be discussed is that the Single Electricity Market (SEM) could be prone to “unusual market behaviour or abuse” if the UK crashes out. 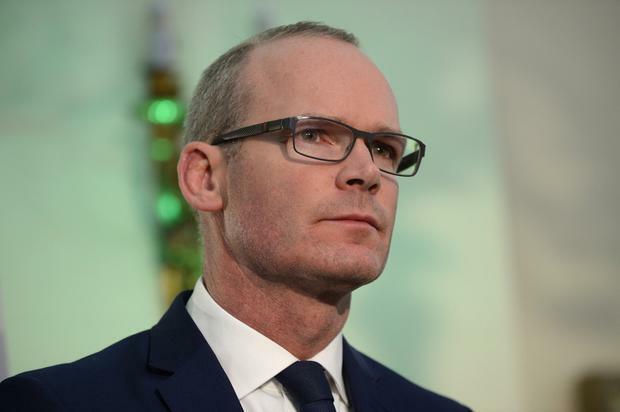 It comes as Tánaiste Simon Coveney revealed Ireland is now spending “hundreds of millions of euro” on preparing for a no-deal Brexit, which would be a “crazy outcome” after years of negotiations. Speaking in Brussels after a meeting with the EU’s chief Brexit negotiator Michel Barnier, the Tánaiste said there is “frustration in Ireland” over the approach of the UK government. It is understood Mr Coveney also used his time in Brussels to complain to the UK’s foreign secretary about alleged anti-Irish briefings in other European capitals. There is a deep suspicion in Dublin that senior UK figures have attempted to undermine the Irish Government in conversations with other EU27 members. When asked about his conversation with Jeremy Hunt, Mr Coveney described it as a “good, honest discussion”. “We’re not going to start slinging accusations around the place. The important thing here is that people understand the EU perspective and Irish perspective,” he said. This is a crucial week in the countdown to Brexit as British Prime Minister Theresa May continues a charm offensive on EU leaders. Mrs May spoke over the weekend to seven European leaders including Italy’s Giuseppe Conte, following talks last week with 13 counterparts including Germany’s Angela Merkel and France’s Emmanuel Macron. Many of the leaders will be present in Egypt next weekend for an EU-Arab League summit. Brexit is not on the agenda but is likely to be the subject of much debate on the margins. Mr Coveney said he does not detect any appetite in Europe for a reopening of the negotiations on the backstop, which ensures no return to a hard Border on the island of Ireland. He said clarifications can be offered to the UK parliament – but the deal secured late last year cannot change. On Friday, the Government here will publish the legislative changes needed to prepare for a no-deal scenario. Ahead of that, Communications Minister Richard Bruton will today brief TDs on emergency legislation needed to prevent potential abuses of the SEM. Under the proposed legislation, the Commission for the Regulation of Utilities (CRU) would be given the ability to speedily modify licences related to the SEM. He will tell TDs that “issues the regulator may need to address urgently include unusual market behaviour or abuse of market power in the context of a disorderly Brexit”. Children’s Minister Katherine Zappone will give a separate briefing in which she will say that young people want work, travel and study opportunities to be maintained. Ms Zappone will outline three areas where Brexit will potentially affect her department’s work, including an EU regulation on children in the care of member states, recognition of qualifications in relation to social work and peace funding for youth services.